During a CNN town hall, former FBI Director James Comey threw some shade at Fox News ahead of his first appearance on the network since launching his book tour. 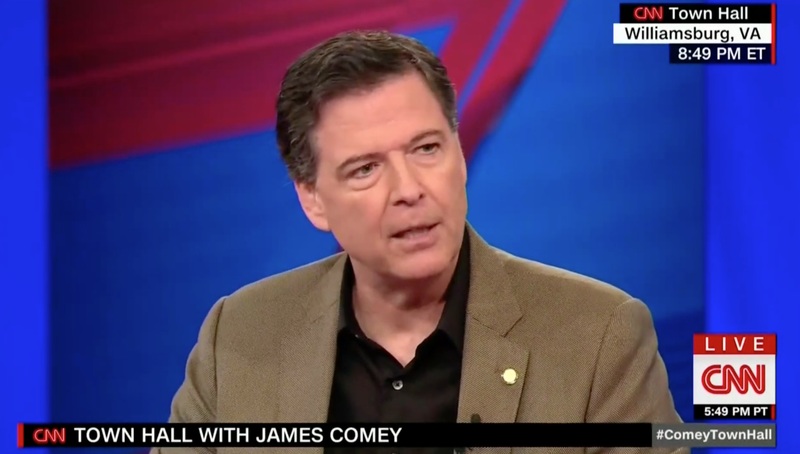 It’s no secret that some of the opinion hosts on Fox News, specifically Tucker Carlson, Sean Hannity, and Laura Ingraham, have been outspoken about their animus towards Comey. And in recent weeks, questions have been swirling around legality of the memos he leaked last year about his encounters with President Donald Trump — especially since it’s been reported that his memos may have contained classified information. The crowd lightly chuckled at his remark. Comey added that the classified memos he gave to his legal team went no where else and stressed that the memo he gave to his Columbia law professor friend Daniel Richman was unclassified. The former FBI director is scheduled to sit down with Fox News anchor Bret Baier tomorrow evening.